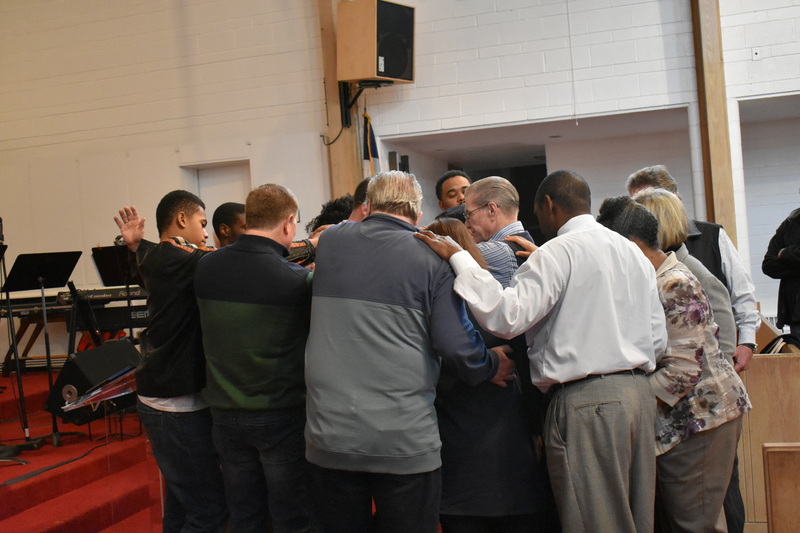 At Messiah Community Church there are several facets of the prayer ministry. Our belief at Messiah Community Church is that prayer (intimacy with God) is a vital part of every believer’s life. We also believe that corporate prayer is the foundation to all aspects of the church, ministry, and to us as a body of believers. We will post prayer request via e-mail or text message to our prayer teams and entire membership on occasion. It is our belief that prayer draws us closer to God but that YHVH is always with us. It isn't as though we have to go find Him or shout Him into our presence. Prayer opens our hearts and minds to His presence. This intimacy creates an atmosphere of expectancy and blessing. We have a team of praying people who will pray for those in need according to the Word of God. Our prayer partners will contact the heavens through the Word to bring down answers for the needs of the believer. Need prayer for healing? The Elders, upon request, will anoint the sick with oil and pray over the according to James 5:14-15. We believe prayer should be given for the entire body of Christ as well as our local ministry. Prayer teams will also visit members or loved ones at hospitals and homes if they request a visit. We often have times of prayer at the altar on a Sunday morning. It is our conviction that those sitting in the pews have as much anointing on them to heal and minister to the hurting as the Pastor and Elders. We invite our members to minister to one another during our worship times and to pray for one another. They are also encouraged to exercise the gifts of the Spirit as He gives them direction to do so. For more information about prayer at Messiah Community Church contact us at prayer@messiahcommunity.org.